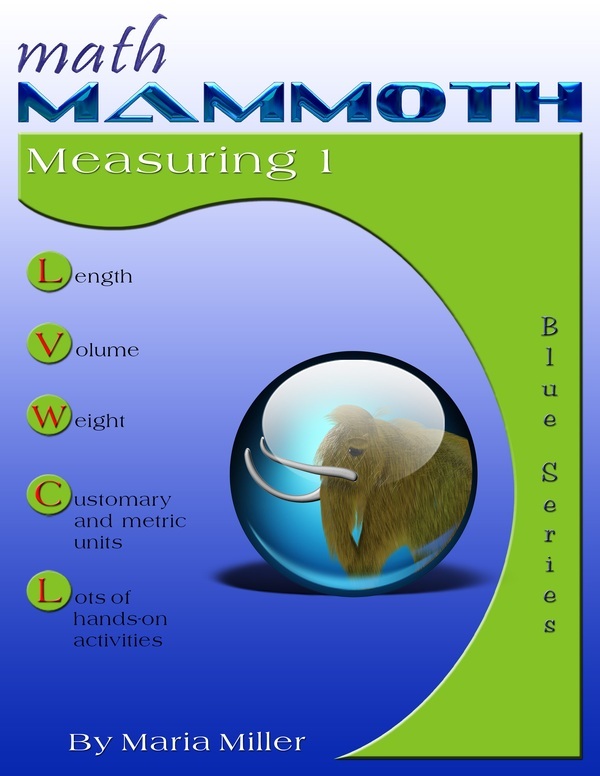 Math Mammoth Measuring 1 - elementary math workbook for grades 1, 2, and 3. Download and print. 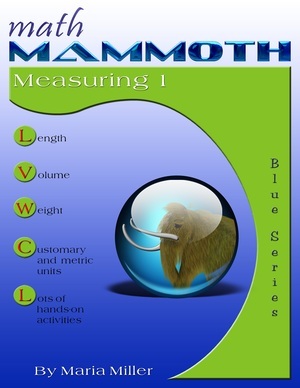 Math Mammoth Measuring 1 is a worktext that covers measuring length, weight, and volume for grades 1-3. The book contains both textbook explanations and exercises, and is designed to be easy to teach from, requiring very little teacher preparation; however in several lessons you will need to gather measuring equipment such as a ruler, a scale, or measuring cups. Similarly, in studying volume, the lessons include many hands-on activities so that the student gets first- hand experience in measuring, and has a basic knowledge of the size of the units cup, pint, quart, gallon, milliliter, and liter. When it comes to measuring, experience is the best teacher. We all use various measuring units in our everyday life, and using them is the key to remembering what they are and what the conversion factors are. People in the United States do not use the metric system a lot, while people elsewhere do not use the customary system. The units your child is not using are likely to be forgotten easily. So encourage the student(s) to have free play time with measuring devices such as a scale, measuring cups, a measuring tape, and rulers — including equipment that uses metric units. Math Mammoth also has another worktext about measuring, Math Mammoth Measuring 2, which is a sequel to this one. In it, students practice measurement unit conversions and problem solving. Here is a list of manipulatives that are needed or recommended for Math Mammoth Measuring 1. Children learn measuring much better if they can "get their hands on it", so the book contains lots of activities for actually measuring items.